Russian writer; born at Wilna about 1840. Persecuted because of his participation in revolutionary movements, he fled to America, and died by his own hand at Syracuse, N. Y., Nov. 8, 1880. 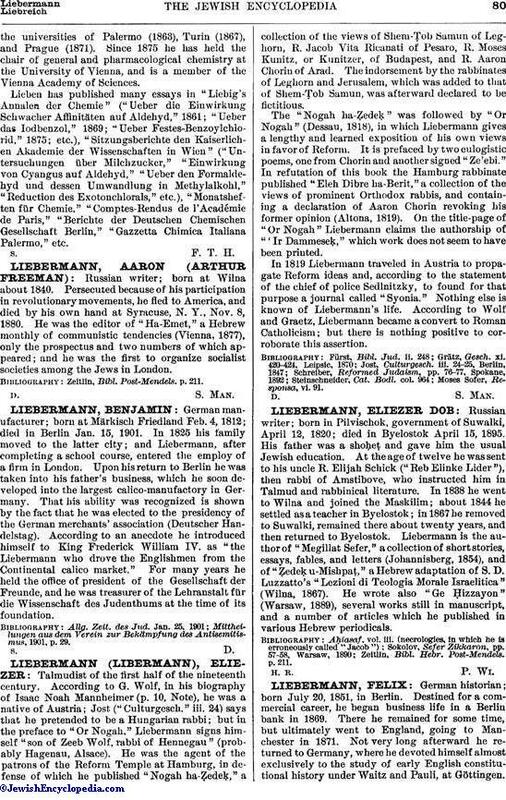 He was the editor of "Ha-Emet," a Hebrew monthly of communistic tendencies (Vienna, 1877), only the prospectus and two numbers of which appeared; and he was the first to organize socialist societies among the Jews in London. Zeitlin, Bibl. Post-Mendels. p. 211.